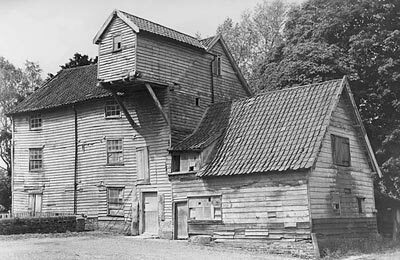 Shotesham Mill in Shotesham St. Mary or Low Shotesham as it was in 1836, was built in the 1700s and spent its last years working as a grist mill. 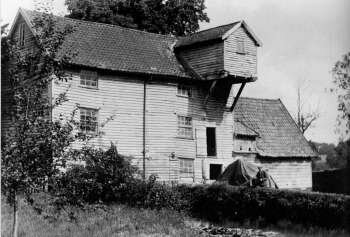 It finally stopped working towards the end of the second world war when the last miller retired, before being demolished in 1949 after being badly damaged by floods. Apparently, at the time of its destruction it was described as "The little gem of Norfolk scenery." 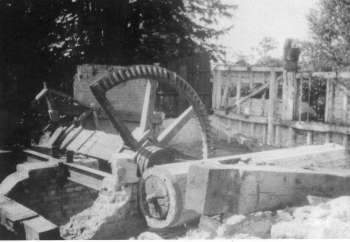 The mill was almost saved, when at a meeting of the East Norfolk Rivers Catchment Board it was stated that the preservation of the mill was possible and Mr. Fletcher Watson, the architect, said that he had a client who was willing to restore the mill. Unfortunately it never came to pass. 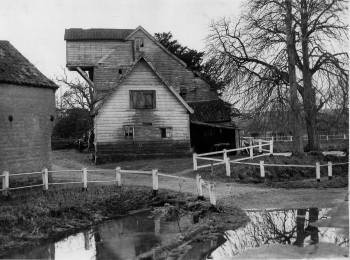 Shotesham watermill stood to the southeast of the nearby post_windmill, the two mills being worked by the same miller. John Spratt of Shottisham, Miller and George Gordon of Carleton Rode, Farmer, legal representativers of George Everettt, Administrator of the goods etc. of the late Richard Everett, of Carleton Rode, deceased. 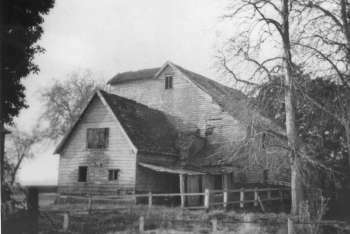 In an attempt to save Shotesham Mill from demolition an interested person has offered to spend a considerable sum of money on its renovation. 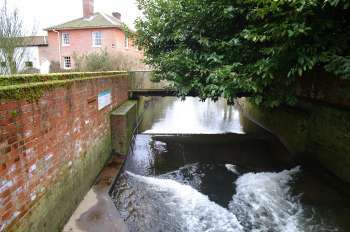 This was reported at yesterday's meeting of the East Norfolk Rivers Catchment Board. 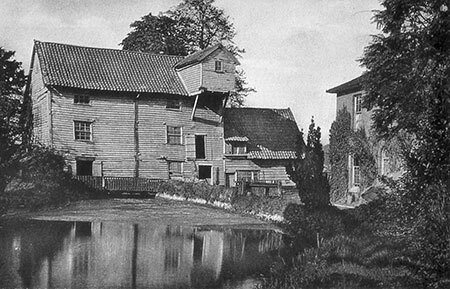 At its last meeting the Board decided to make arrangements with Major Fellowes, the owner of the mill, for its demolition. 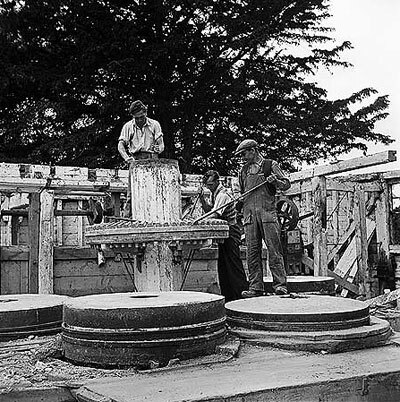 Reporting this latest development, Mr. S W. Mobbs, Chief Engineer of the Board, said he had been informed that Mr. Fletcher Watson, the architect, who had interested himself in the matter, had found a client prepared to put the mill in order and presumably live there. 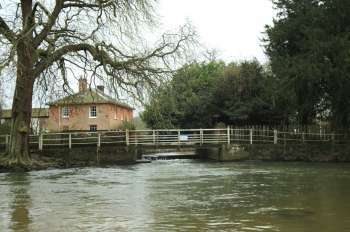 He added that Major Fellowes had written referring to the importance of the waterway being kept free of obstruction and saying that if the Board was of the opinion that this could be done and the mill preserved whole, he would go further into the matter. If the Board did not think this would be possible, the mill would have to be demolished as originally agreed. 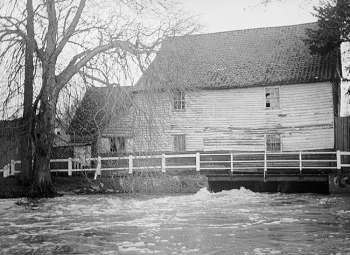 Mr. Mobbs said that, provided arrangements could be made for enlarging the waterway under the mill, obstructions and defective portions taken out and the old water mill removed so that the channel was sufficient for the flow of the river, there was no reasons why, if anyone was fool enough to spend sufficient money on it, it should not be preserved and a new top put on it. The Chairman (Major S.W. 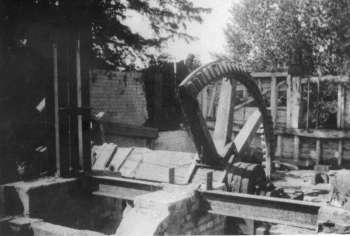 Humphery) referred to the considerable reconstruction needed. He thought the Board would not object if proper arrangements could be made to safeguard its interests and the work could be done within a reasonable time. Mr. Mobbs said he thought Major Fellowes would have to be satisfied that some kind of by-pass arrangements would be made in the river to prevent damage to his property from flooding. It was agreed to await a report on developments at next month's meeting before making further arrangements about demolition. In 1263, John de Vaux of Therston obtained a charter for free warren here, of King Henry III. 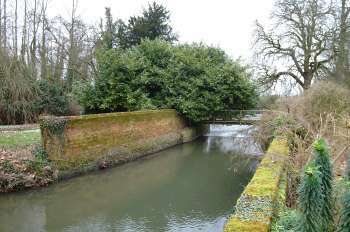 ; this John was sued for appropriating the fishing to himself on each side of his mill, it being proved that all the fishery in the manor was common to the tenants except the mill pool only, and at the same time the Abbot of Holme was fined, for hindering the common fishing at Linewesse in Shotesham . 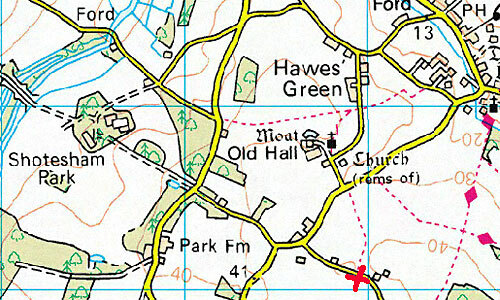 Tofthall Manor belonged to Bishop Stigand, and at the Conquest to Roger Bigot , and Ralf Fitz Walter held it of him, as a manor containing 2 carucates of land, worth at the first survey 40 s . and at the second 4 l. per annum. 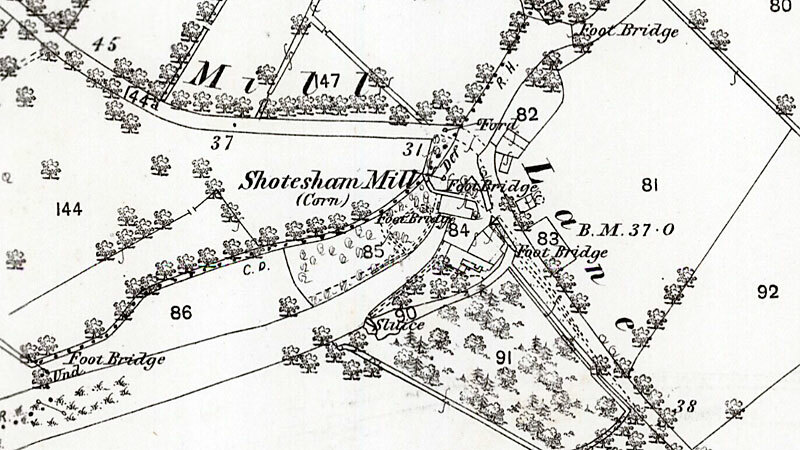 Upper Shotesham was then a mile and half long, and half a mile broad, and paid 16 d . to the geld; there was the moiety of a mill, and the advowson of a church belonging then to the manor, and the moiety of the advowson had 15 acres of glebe, then valued at one penny an acre per annum. The church of All-Saints, called high or Great Shotesham church, which was given by Sir Robert de Vaux, founder of Pentney priory in Norfolk, to that house when he founded it, and so it became separated from Shotesham -Hall manor, which it constantly had attended to that time; and Ralph de Hoe released all his right in it; the same founder also gave to that house, a mill at Shotesham and 15 acres of land late belonging to the church; and the advowson of St. Botolph's church here, and the prior got the church of All-Saints appropriated to his house, and was taxed for its spirituals appropriated, at 12 marks, and always presented to the endowed vicarage, till the Dissolution, when the whole vested in the Crown, and continued there till 1552, and then Edward VI. granted the impropriate rectory and the advowson of the vicarage , and the advowson of the churches of St. Mary and St. Botolph , to William Necton , and William Mingay and his heirs; and it hath continued in the Mingays, for in 1715, William Mingay, Gent. was impropriator and patron. Sale of furniture of William BARNARD who relinquishes the above occupation. John Spratt made a will on 9th April 1817 and it was proved on 13th September 1819. John Spratt, miller of Shottesham St. Mary, Nfk, appoints my son in Law William Spratt the Younger of Norwich, Coachmaker, & sons Andrew & Robert Spratt, executors of this will. 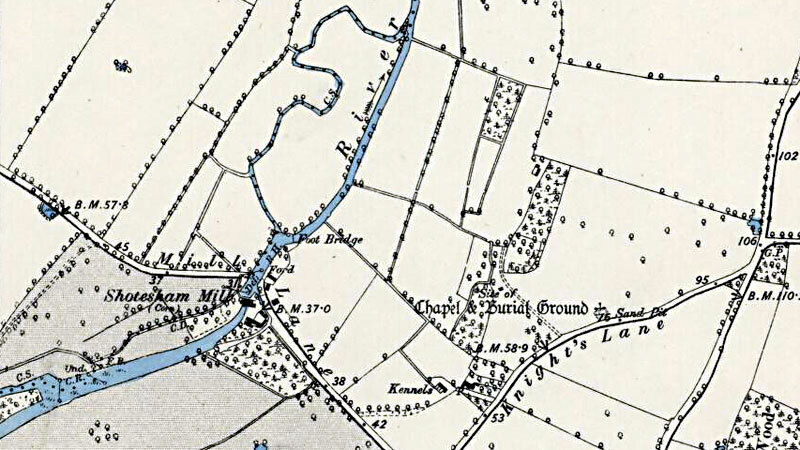 To ANDREW SPRATT, all that flour mill, dwellinghouse, land, hereditaments and premises situate lying at Mulbarton as is now in the occupation of said son Andrew for his heirs and assigns. 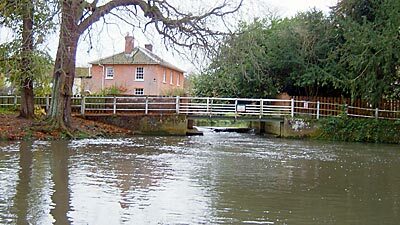 My maternal 4xgreat grandfather was John Spratt the miller at Mulbarton, Shotesham_postmill, Shotesham watermill and Saxlingham Thorpe postmill and watermill. John Spratt died on 23 May 1819. He was buried at Shotesham St Mary and his headstone reads Sacred to the Memory of SARAH the wife of JOHN SPRATT who died Oct 7th 1802 Aged 47 years Also of JOHN SPRATT many years Miller in this Parish who died May 23rd 1819. (I looked for the headstone last month but unfortunately it has “gone missing” so am relying on the Women's Institute transcription of the graveyard done in 1980. This can be found on Shotesham website under weddings!) 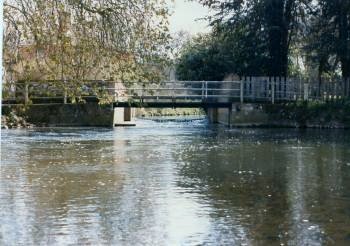 John and Sarah had twelve children and John left the Mulbarton Mill to his eldest surviving son Andrew.